Get ready for the next outbreak of third party wine endorsements. 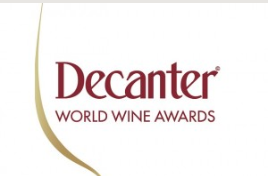 The judging of the Decanter World Wine Awards has concluded and the grinning winners will soon be praising themselves. There will be many Australian producers among them for that is the purpose of the contest. To be successful for the contest organisers there have to be loads of winners. Unless there was a good chance of getting a gong - bronze, silver, gold and platinum - there would be no point in paying the GBP (£) 139 + VAT 20% per wine to enter. This year some 18,000 wines were paid up for, giving Decanter an earn of above $4.5 million. And then there's the price of those little stickers to adorn your bottles. 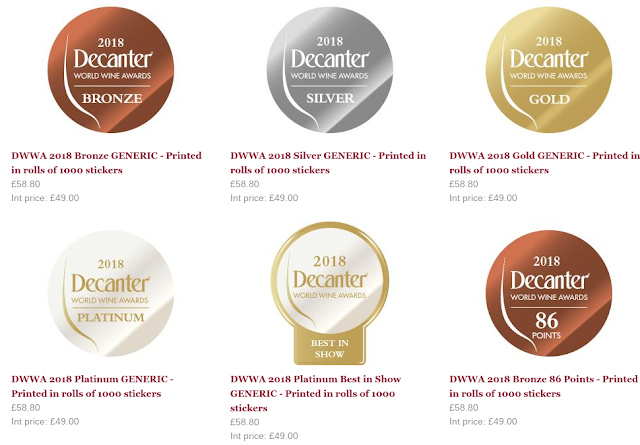 Decanter offers an array of them to cater for all the placegetters.